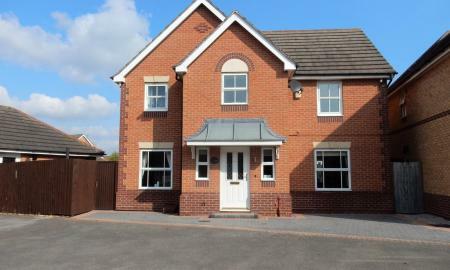 Only by viewing this stylish, modern 4 bedroom detached family home can the standard of interiors be appreciated. Tucked away on a good sized corner plot in a much sought after area of Sparken Hill, close to Worksop's historic town centre with bars restaurants, supermarkets, doctors surgery, Cinema, Sparken Hill academy primary and secondary schools. In brief the property comprises of a welcoming entrance hallway, well proportioned bay fronted lounge, stunning kitchen diner with fitted appliances, utility room and downstairs WC. 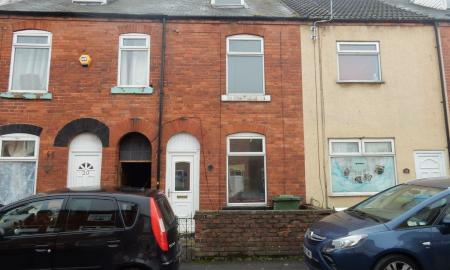 On the first floor are 4 good double bedrooms, quality en-suite shower room and 4 piece bathroom suite. Outside are front and rear gardens, driveway with parking for several vehicles leading to the single garage. Early viewing is highly recommended. ATTENTION ALL INVESTORS! FOR SALE 3 X 2 BEDROOM, SPACIOUS APARTMENTS. The property is located in a secluded location on a private road within walking distance to Worksop historic town centre with local shops, bars, cinema, doctors surgery and supermarkets. 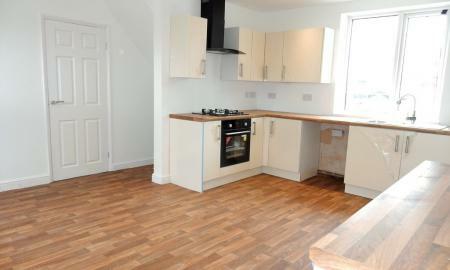 All three apartments are currently tenanted and each flat is let at £425pcm. Further details will be available shortly. Early viewing is highly recommended. Tucked away in the corner of a quiet cul-de-sac in a much sought after location of Gateford in Worksop is this immaculately presented 4 bedroom detached family home. 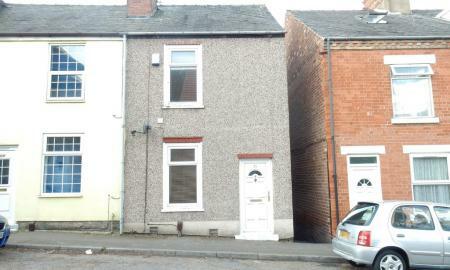 The property benefits from having a recently fitted family bathroom and en-suite shower room. In brief the property comprises of a welcoming entrance hallway, well appointed and decorated bay fronted lounge, separate dining room with French doors, fitted kitchen with integrated appliances, utility room and a downstairs WC. On the first floor are 4 good sized bedrooms, 3 piece family bathroom suite and an en-suite shower room. 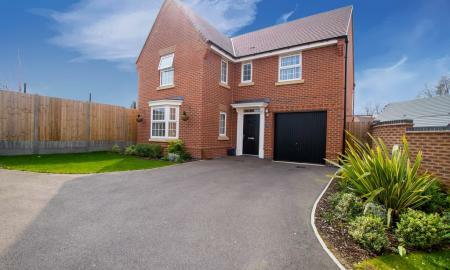 Outside is an open plan front garden with a block paved driveway leading to the integral garage and gate access to a stunning, landscaped rear garden. 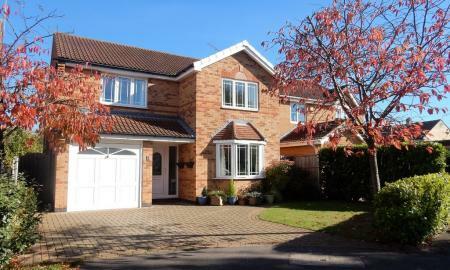 Early viewing is essential of this beautiful family home..
Only by viewing this deceptively spacious 4 bedroom detached family home can the standard of interiors be apricated, situated in a much sought after location of Worksop, close to local schools, amenities, A1 and M1 motorway links. In brief the property comprises of an entrance hallway, well proportioned lounge dining room, kitchen diner, utility room and a downstairs WC. On the first floor are 4 double bedrooms, en-suite shower room and a family bathroom. The property benefits from having UPVC double glazing, gas central heating and solar panels . Outside is an open plan front garden, double driveway which in turn lead to the garage and gate access to an enclosed south facing rear garden which benefits from not being over looked. Early viewing is highly recommended. No upper chain. LEASEHOLD approximately Â£259 a year for the ground rent, 90years least left remaining. Only by viewing this beautiful, larger style traditional 3 bedroom semi detached family home can the standard of interiors be appreciated. Situated in a much sought after area of Worksop just off Sparken Hill within walking distance of Sparken Hill Primary School and Portland Academy Secondary School. In brief the property comprises of a welcoming entrance hallway, well proportioned bay fronted lounge, attractive dining room with French doors and an open fire place, fitted kitchen and cellar. On the first floor are 3 good sized bedrooms and a stunning 4 piece bathroom suite with a free standing claw bath and separate double shower unit. The property also benefits from having gas central heating and UPVC double glazing. Outside is a walled front garden, driveway with parking for several vehicles and double gate access to a larger than average rear garden. Early viewing is highly recommended. 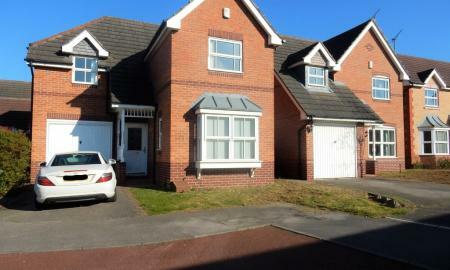 For sale with no upper chain is this well presented 3 bedroom detached family home. Situated in a much sought after area of Gateford in Worksop, close to local schools, amenities, A1 and M1 motorway links. In brief the property comprises of an entrance hallway, well proportioned lounge with a featured fire place, kitchen diner and a downstairs WC. On the first floor are 3 good sized bedrooms, en-suite shower room and a 3 piece bathroom suite in white. Outside is an open front garden, driveway leading to the garage and gate access to the enclosed rear garden. Early viewing is highly recommended. For sale is this deceptively spacious 3 bedroom detached family home, situated in a quiet village location bordering the Chesterfield Canal and is also adjacent the A57. 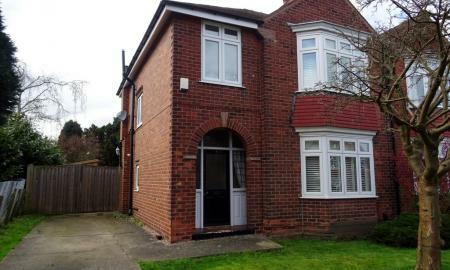 In brief the property comprises of an entrance hallway, lounge, dining room, fitted kitchen and utility room. On the first floor are 3 double bedrooms and a family bathroom suite. Outside is an open plan front garden, driveway, larger than average detached garage and an enclosed rear garden with a raised decked seating area. No upper chain. Early viewing is highly recommended. Only by viewing this re-designed 3/4 bedroom detached family home can the standard of interiors be appreciated. 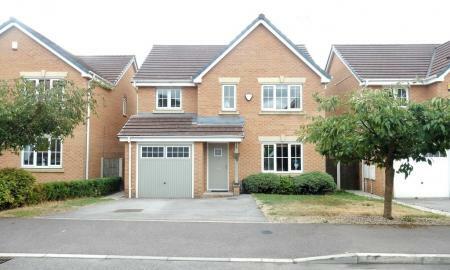 Situated in a much sought after area of ashes park in Gateford, close to schools, amenities, A1 and M1 motorway links. In brief the property comprises of an entrance porch, rear entrance hallway, well proportioned lounge, modern kitchen diner, conservatory with an insulated ceiling, downstairs WC and garage conversion currently being used as a 4th bedroom and utility room. On the first floor are 3 double bedrooms, en-suite shower room and family bathroom. Outside is an open plan front garden and driveway. To the rear of the property is an attractive enclosed garden with a raised decked seating area. Early viewing is highly recommended. Offered to the market with NO UPWARD CHAIN is the delightful three bedroom detached home, located upon this well regarded modern development. The property may be of interest to the first time or investor buyer and requires an internal viewing to be fully appreciated. Situated on a larger than average sized corner plot in a much sought after location of Kilton in Worksop, within walking distance of local schools and amenities is this 3 bedroom semi detached family home. In brief the property comprises of an entrance hallway, well proportioned lounge with a featured fire place and a spacious kitchen diner. On the first floor are 3 good sized bedrooms and a 3 piece family bathroom suite in white. 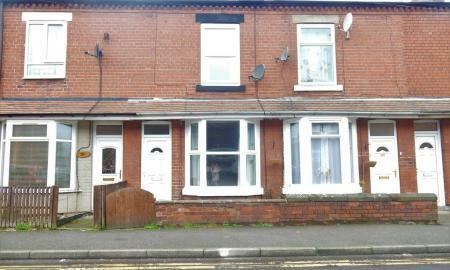 The property also benefits from having UPVC double glazing and gas central heating. Outside are raised front and side gardens, driveway with parking for 2 vehicles and gate access to the rear of the property. To the rear of the property is an enclosed garden with a brick built outbuilding used for storage. Early viewing is highly recommended. ATTENTION ALL FIRST TIME BUYERS AND INVESTORS For sale with no upper chain is this well presented 3 bedroom end terrace family home, situated within walking distance of local schools and amenities. In brief the property comprises of an entrance hallway, well proportioned lounge, spacious kitchen diner, downstairs WC and a rear entrance hallway. On the first floor are 3 good sized bedrooms and a 3 piece bathroom suite in white. Outside are front and rear gardens, brick build storage with power and light and a single garage. Early viewing is highly recommended. For sale is this recently renovated 3 bedroom semi detached family home, situated in a sought after area of Worksop, close to local schools and amenities. 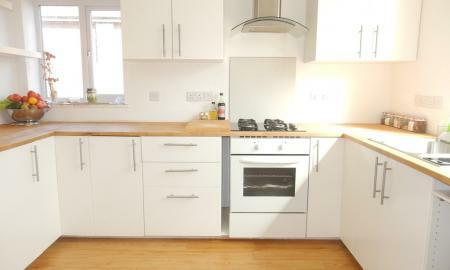 The property benefits from having a new modern kitchen, family bathroom and a recently fitted boiler (1 year old). In brief the property comprises of an entrance hallway, well proportioned lounge, cream high gloss fitted kitchen dining room, 3 good sized bedrooms and a 3 piece family bathroom suite in white. Outside is a walled front garden, driveway which in turn leads to the detached garage and an enclosed rear garden. No upper chain. Early viewing is highly recommended. Only by viewing this immaculately presented 4 bedroom semi detached family home can the standard of interiors be appreciated. 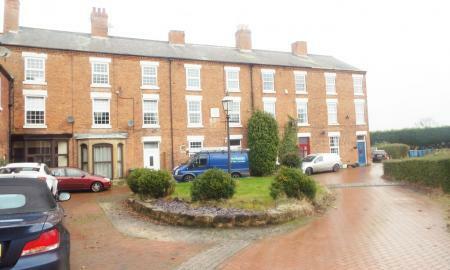 Situated within walking distance of the historic Worksop town centre with restaurants, bars, supermarkets and cinema. In brief the property comprises of an entrance hall, quality fitted kitchen, dining room, bay fronted lounge, downstairs bathroom and a rear entrance porch. On the first floor are 3 bedrooms and a staircase leading to the attic bedroom. 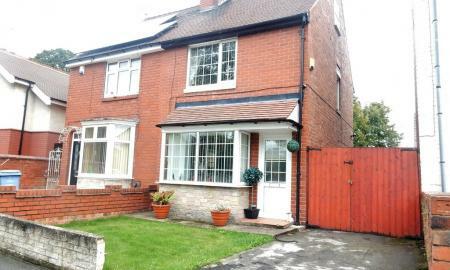 The property benefits from having gas central heating, UPVC double glazing and a 22'x15' GARAGE. Outside is a wall front garden, double gates leading to a long driveway which in turn leads to a larger than average garage and a beautiful enclosed garden. Early viewing is highly recommended of this spacious family home. Only by viewing this superb, recently renovated and re-designed 2 bedroom semi detached home can the standard of interiors be appreciated. 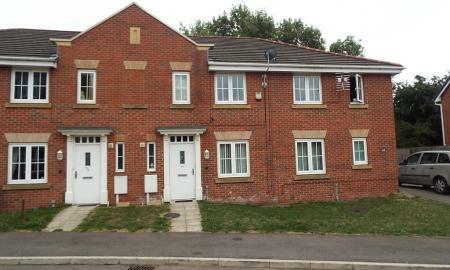 Situated within walking distance of Worksop town centre, Canch park, schools and shops. The property benefits from having a stunning new kitchen, 4 piece bathroom suite, combination central heating boiler (with 10 years warranty) alarm system, re-wire and multi fuel log burner. In brief the property comprises of a well proportioned bay fronted lounge, stunning kitchen dining room and a utility room/WC. On the first floor are 2 double bedrooms with original cast iron decorative fire places and a quality 4 piece bathroom suite in white. The property has retained many of its original features including restored sash windows. Outside are attractive low maintenance gardens. NO UPPER CHAIN. Early viewing is essential of this quality renovated home. For sale with no upper chain is this immaculately presented 3 bedroom mid terrace family home, situated close to Worksop's historic town centre with shops, supermarkets, bars, restaurants, cinema, bus station and train station. In brief the property comprises of a bay fronted lounge, well proportioned dining room and a fitted kitchen. On the first floor are 3 good sized bedrooms and a family bathroom. 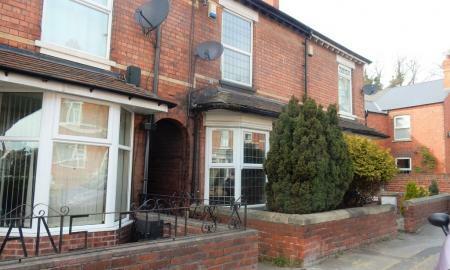 The property also benefits from having UPVC double glazing and gas central heating. Outside is a small walled garden and a well maintained rear garden with an outside toilet. On street permit parking. Early viewing is highly recommended. 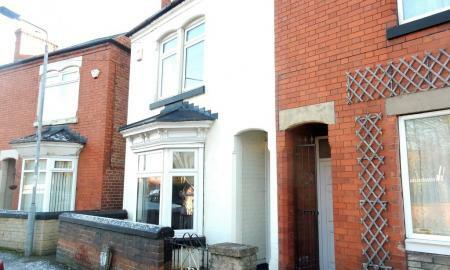 For sale is this deceptively spacious, re-designed 3 bedroom mid terrace family home, situated in a much sought after area, within walking distance of the train station and Worksop's historic town centre. In brief the property comprises of a bay fronted lounge, well proportioned dining room and a fitted kitchen. On the first floor are 2 bedrooms, 3 piece family bathroom suite and a staircase leading to the 3rd attic bedroom. Outside is a walled front garden and an attractive enclosed rear garden. On street permit parking. Early viewing is essential. No upper chain. Only by viewing this deceptively spacious 2/3 bedroom semi detached family home can the standard of interiors be appreciated. The property is situated in a much sought after location, within walking distance of the Worksop Canch Park, town centre, schools and supermarkets. In brief the property comprises of an entrance hallway, bay fronted lounge with a featured fire, well proportioned lounge and a good sized modern fitted kitchen. On the first floor are 2 double bedrooms, nursery/office and a 3 piece bathroom suite in white. The property benefits from having a recently combination central heating boiler(8 years warranty remaining) Outside is a small walled front garden and a larger than average rear garden with a log cabin, outside WC and brick out building. Early viewing is essential of this beautiful home. 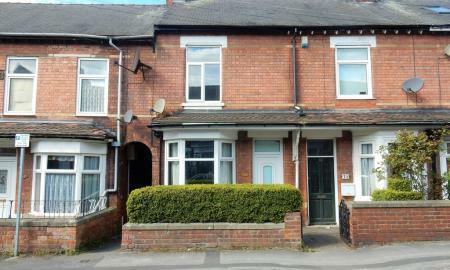 ATTENTION ALL FIRST TIME BUYERS AND INVESTORS, For sale with no upper chain is this spacious 2 bedroom mid terrace home, situated within walking distance of Worksop town centre, supermarkets, bars, restaurants, cinema, doctors surgery and bus station. In brief the property comprises of a bay fronted lounge with a featured fire place, well proportioned dining room, fitted kitchen and utility area. On the first floor are 2 double bedrooms and a family bathroom suite in white. The property also benefits from gas central heating (combination boiler)and new UPVC double glazing. Outside is a small walled front garden and an enclosed rear court yard. On street permit parking. Early viewing is highly recommended.. 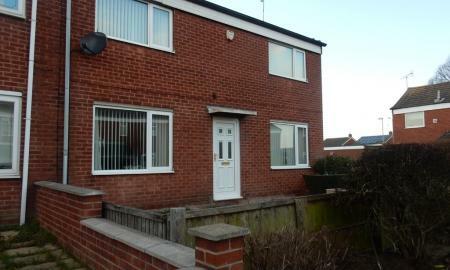 ATTENTION ALL FIRST TIME BUYERS AND INVESTORS, For sale is this deceptively spacious 2 bedroom end terrace home, situated close to local schools, amenities, A1 and M1 motorway links. 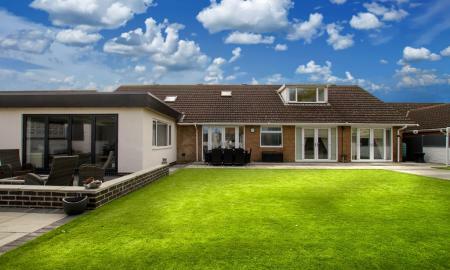 In brief the property comprises of a bay fronted lounge, well proportioned dining room and fitted kitchen. On the first floor are 2 double bedrooms and a family bathroom suite in white. Outside is a small walled front garden and an enclosed rear garden with a brick built out building. 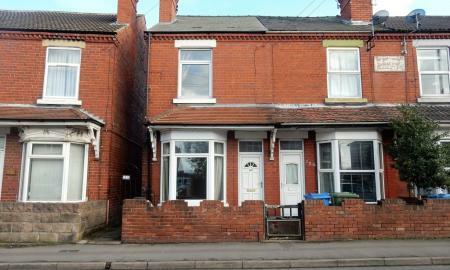 The property also benefits from having UPVC double glazing and a combination gas central heating boiler. NO UPPER CHAIN. Early viewing is highly recommended. 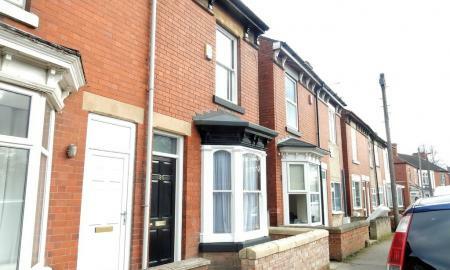 ATTENTION ALL FIRST TIME BUYERS AND INVESTORS, For sale is this deceptively spacious 3 bedroom mid terrace family home, situated with in walking distance of local schools amenities and Worksop Town Centre. In brief the property comprises of a well proportioned lounge, separate dining room with a featured fire place and fitted kitchen, On the first floor are 2 bedrooms and a family bathroom and a staircase leading to the attic bedroom. 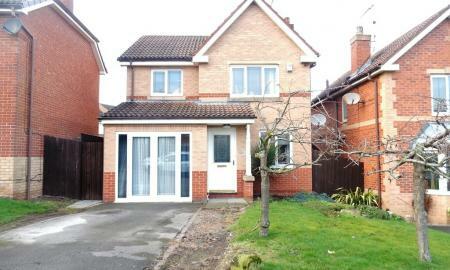 The property also benefits from having UPVC double glazing and gas central heating. Outside is a small walled front garden and a good sized rear garden with a paved patio seating area. No upper chain. Early viewing is highly recommended. 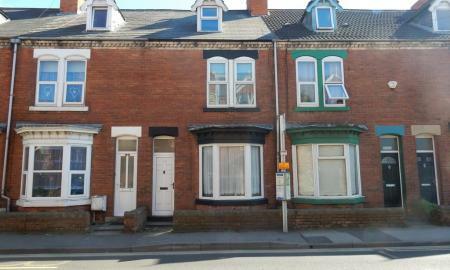 ATTENTION ALL INVESTORS AND FIRST TIME BUYERS, For sale is this 2 bedroom end terrace property situated with in walking distance of Worksop's historic Town Centre with shops, bars, restaurants, Cinema, supermarkets and doctors surgery. The property is in need of some modernisation and in brief comprises of a lounge, breakfast kitchen, downstairs bathroom suite and 2 first floor double bedrooms. Outside is a decked seating area and access to a cellar. On street permit parking. NO UPPER CHAIN.